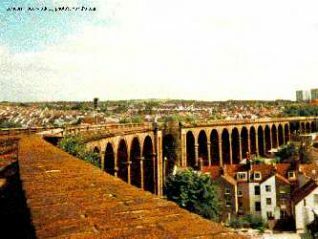 The reason I took this photograph was because it shows a view of the London Road viaduct, which the public are unable to see. It’s a bridge that you see every day but not from this direction. It’s looking towards Lewes from Brighton station. An interesting side to this bridge is that it almost shows two separate bridges divided in the middle.